This picture (which was taken by him) is in honor of Lee Miller who passed away in March of 2017. 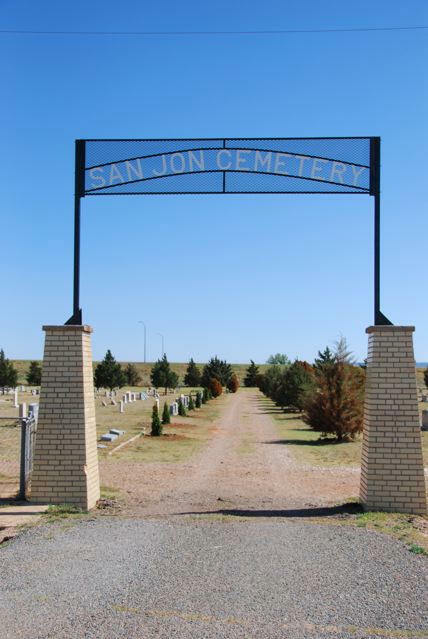 Directions: I-40 Exit 356 at San Jon, 0.15 N on NM 469 to Cemetery Road, W 0.2 mi, S side. Burton Lee Homer 1890 19?? Frost Stanley F. 1942 Jun 1 1999 May 17 56 Loving Husband, Father and Grandfather. Jones Johnnie Delle 1916 19?? Lamb Charles M. 1896 19? ?